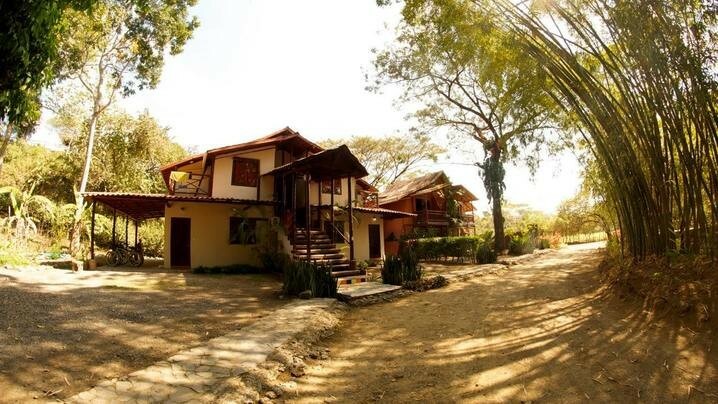 Join Asami for a 5 night, 6 day retreat at one of the most eco-friendly places on Earth, Vida Asana Eco-Retreat and Yoga Center, in Costa Rica. Surround yourself in the jungle, the ocean and the magnificent fauna of the country. It is your time to unwind and unplug yourself from your daily life. Give yourself a blissful treat to deepen your Yoga practice, but most importantly, spread your wings to have fun in the nature! If attending a Yoga retreat is one of your dreams, this is the time to dive into this amazing experience. Save your spot today! Optional activities: Biking, Trip to Manuel Antonio, Sweat Lodge and Shaman Ceremony, Zip-Lining, Mountain Biking Tour, Herradura fishing trip, and more! Not included: flights to/from San Jose, Costa Rica (SJO) and travel insurance. Guests are responsible for purchasing travel medical insurance and cancellation insurance which are also not included. 12:00pm Arrival to San Jose International Airport - Tarcoles Crocodile Bridge visit on the way to Vida Asana! 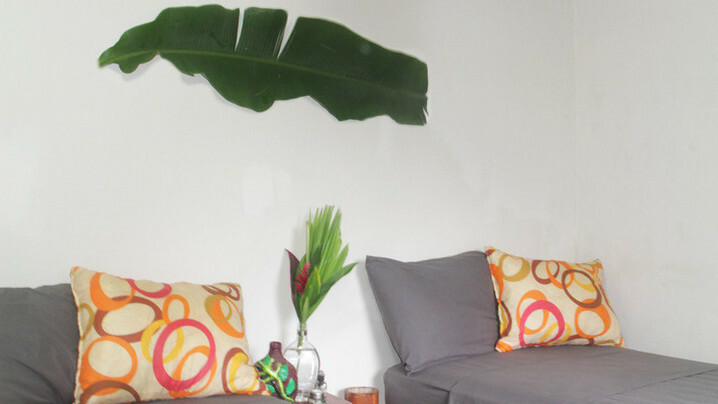 Vida Asana Eco-Retreat and Yoga Center is located just 90 minutes from San Jose Airport (SJO), in beautiful Playa Hermosa, Costa Rica. Vida Asana is a place to find your true self. 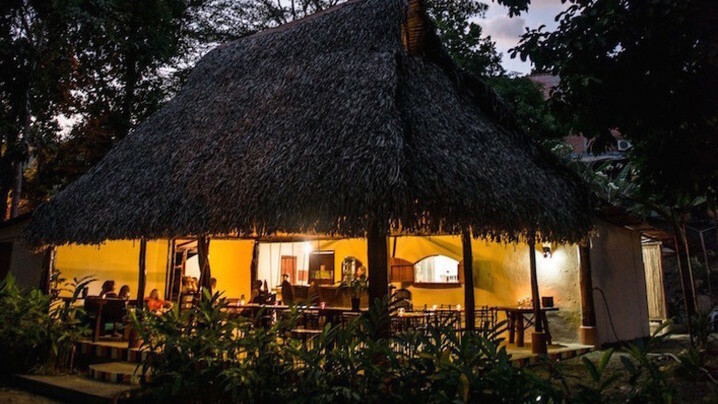 We are an eco-resort that specializes in yoga retreats, surf camps, mountain bike adventures, and a healthy sustainable lifestyle in a beautiful setting between the rainforest and the ocean. Our goal is to create a happy environment that supports education, mindfulness, and adventure. Our guests enjoy a simple and mindful experience that is often lacking in their daily lives. We encourage our guests to soak up the sounds, smells, and visually appealing landscape, while letting go and allowing their soul room to breathe. We’re also dedicated to the local community, both our guests and full-time residents often engage in garden building and other sustainable community building programs. Our current primary causes are BJJ Jaco, and Costas Verdes, two tremendous programs in our community. One teaching our children the joys of physical fitness, discipline, and mindfullness, the other making sure this beautiful land is here for them to enjoy, when they get older. Our meals consist of 3 daily mostly organic meals. Vida Asana was better than advertised!! Sean was the PERFECT host in every which way! EVERYTHING exceeded all expectations!! The perfect uplifting, revitalizing getaway. I went on this trip with my sister for our birthdays. She knew Avery from yoga class but I hadn't met anyone. From the start, Avery was available, helpful, warm, kind, and comforting.. And her yoga classes were awesome all around. The trip agenda was flexible and accommodating, Vida Asana was paradise. On this trip, We were able to give back to Costa Rica through a planned tree planting evening on the beach. I Have so many memories and often think back to the beautiful women and beautiful country I was able to spend time with this past March. Our trip to Vida Asana was more than I could have imagined. Peaceful, beautiful, entertaining, delicious. The whole group came only knowing only one other person or none, yet we could not have felt more connected. Avery did a beautiful job planning our days, yoga sessions, meditations on the beach, opening and closing ceremonies, connecting us with ourselves, nature and each other. My body and soul were rejuvenated after this retreat. Thanks to all for such a memorable experience! I can't wait to do another yoga retreat soon. Overall, the trip was a wonderful experience! The meals were all amazing and the facilities were gorgeous. This trip was phenomenal...it was exactly the healing tonic I needed after a long winter. Amazing experience!! Vida Asana is a beautiful eco resort with beautiful people. I can't wait to return. I had a wonderful, energizing, yet relaxing, trip at Vida Asana. The food was amazing, the people so friendly and welcoming, and I loved cooling off during the day in the pool. I would definitely book a room at Vida Asana again in the future! The trip was amazing it was my first retreat and it felt like we really experienced tye Costa Rica lifestyle. The trip was really good, as the accommodations were very nice and the ambassador was wonderful. The meals could have been better, but the owner of Vida Asana was so thoughtful, and an above-and-beyond concierge for us! This was my first yoga retreat. And I wish there was a word to describe how amazing it was. I came very open minded and nothing I envisioned could have prepared me to what I actually experienced. I let go of everything and just lived my life to the fullest as if I was a child again. Every day we did yoga, ate the delicious food that was prepared to us, played, shared and discovered together as if we had know each other forever. I didn't really knew anyone (except for Asami) coming into this retreat but I left having found my tribe. Those ladies are in my life forever. I had time of my life at Vida Asana! Thank you for organizing Trip Tribe! Testimonial – Blissful Costa Rica Retreat I had never been on a yoga retreat when I signed up for Asami’s Blissful Retreat in Costa Rica. After taking, and loving, Asami’s classes in Montreal for a few months I has no hesitations about signing up as soon as she announced it. I was excited about escaping from the winter and getting to do Asami-yoga for nearly a whole week. If this is what I had experienced I would have been over the moon, but the retreat was so so so much more than I could have imagined! I thought I would be working on my physical strength – my balances and inversions – but instead, in the space of a few short days we built and strengthened a close community of compassionate, vulnerable, courageous, empathetic and supportive women. Yoga and meditation – along with our other activities (surfing, SUPing, hiking) – was the vehicle, not the destination. That my experience was this magical was no accident! Asami had clearly put in a lot of thought into the themes and tenor of each practice, which made it easier for us to connect with ourselves and others. Apart from this, Asami’s own open-heartedness and enthusiasm means that she brings out the same qualities in others. The location was perfect. We were tucked away from the distracting tourist hustle and bustle but still surrounded by a welcoming community at Vida Asana. The basic but thoughtfully renovated premises and delicious meals made it feel like a home away from home. I hope that you are able to find the opportunity to go on one of Asami’s retreats.